The state ordered BP on Thursday to provide additional information as it investigates the risks to Prudhoe Bay wells from permafrost subsidence, after two wells failed dramatically in 18 months, damaging the wellhead and causing oil and gas to leak. In the order, the Alaska Oil and Gas Conservation Commission took issue with BP’s assessment after the first well failure in April 2017, calling the assessment inadequate, and said the oil company’s understanding of the latest failure is “incomplete." BP “has no evidence that permafrost subsidence will not result in sudden catastrophic failure” at wells with two-casing-string designs, the agency said, referring to a common design among the 1,700 wells at Prudhoe Bay. The agency is saying it doesn’t have enough information from BP to be confident that such wells don’t create a potential hazard, said Lois Epstein, an engineer and Arctic program director for The Wilderness Society. Megan Baldino, a BP spokeswoman in Alaska, said late Thursday the company just received the commission’s order and is reviewing it. “We are committed to operating Prudhoe Bay in a safe, reliable manner,” she said. The order followed a Feb. 13 hearing by the commission into the mechanical integrity of wells at Prudhoe Bay, where BP is the operator on behalf of fellow owners ConocoPhillips and ExxonMobil. The order calls on BP to take specific steps to stop the risk at some wells and to assess additional risks, including to Prudhoe Bay wells with two-casing-string designs. The order was signed by the agency’s two commissioners, Cathy Foerster and Dan Seamount. Foerster, headed to her retirement party from the board Thursday evening, said she could not provide immediate comment about the order. Seamount could not be reached. Foerster, a commissioner since 2005, said she will continue to work for now following a request from Gov. Mike Dunleavy, despite her long-planned retirement. Dunleavy on Tuesday fired commission chair Hollis French, citing “neglect of duty” following complaints that French spent limited time at work. The board needs two commissioners to make decisions, Foerster said. “They haven’t replaced me yet,” she said. The first accident came on April 14, 2017, when an old well suddenly “jacked-up," striking the roof of the wellhouse. BP blamed permafrost that had melted from hot production fluids flowing through the well, causing the ground to subside and put dangerous pressure on pipes in the well. The second failure came on Dec. 6 at a different well, where oil flow had been stopped for several years because operations at the well were suspended. The well had a similar design to the first damaged well, with a three-casing-string. The the wellhead also suddenly rose and struck the wellhouse roof, causing damage. 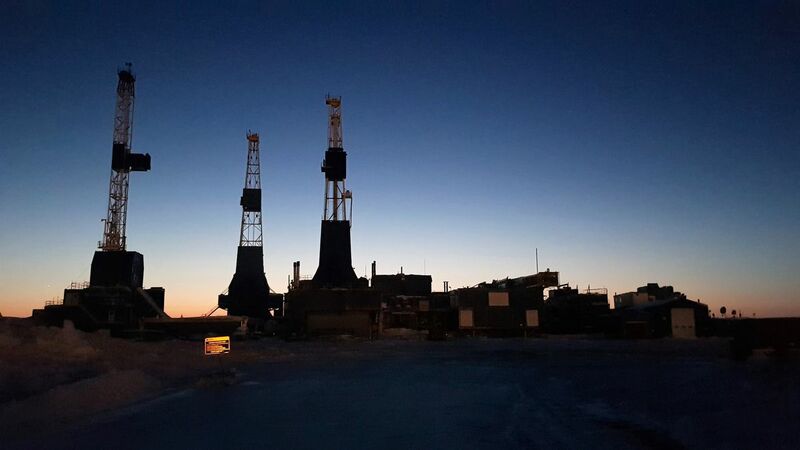 French, reached Thursday, said the risk initially appeared limited to those wells with three-casing-string designs that were anchored in permafrost, rather than more stable rock. There are very few wells at Prudhoe Bay with the three-casing designs. French, who has said the governor made a mistake in firing him and that he did a lot of work outside the office, said the order issued by his two former colleagues on Thursday indicates they are also concerned about potential risks to the far-more common, two-casing wells, said French. French was chair when the agency launched the investigation into Prudhoe Bay well integrity, following the December accident, and attended part of the hearing before the governor suspended him. The problem of wellheads that might suddenly rise, and pose a danger to workers and the environment, could be more widespread than initially thought, French said. BP is in the process of “plugging and abandoning” 14 wells with the three-string design, shutting them down for good, Baldino said. The agency has ordered BP to provide “all reports” by March 15 associated with the December well failure. Among other steps, the order said the agency, working with BP, will select at least two wells with the two-casing design to investigate, to “understand effects of well bore surface casing subsidence,” the order says.